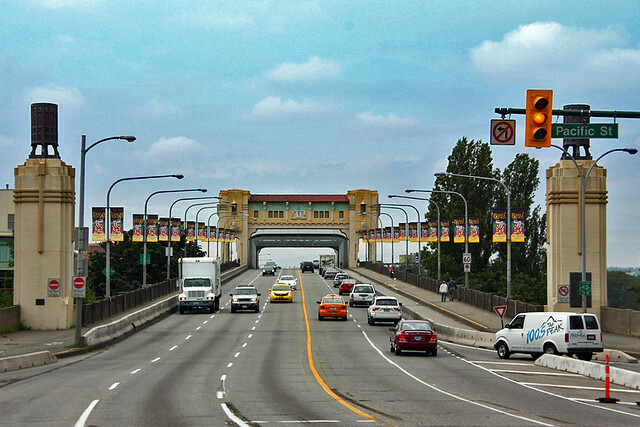 Metro Vancouver is expected to have an additional 1,000,000 new residents by 2040. Where will they live? How will they get around? What kind of neighbourhoods will we have? And what kind of environment will we all be living in? For many years, most North American cities grew by expanding outwards, with large car-dependent suburbs consisting mostly of single-family houses on large lots. As attractive an option as this was at one time, housing another million people in this manner clearly isn’t an option for us. For one thing we don’t have the land, and a large percentage of the remaining land we do have is productive farmland, which most agree is a valuable resource for our future. Land issues aside, typical suburban development also means higher costs for our municipal governments to build and maintain the additional kilometres of streets, sewer lines, and water lines, and ongoing increased costs for garbage collection, fire protection, and so on. It’s also more expensive for the provincial government, which must build and expand the major arterial highways, bridges, and tunnels to service these new areas. Increased costs aren’t limited to government spending. When cities expand outward, more and more of our time also tends to be spent in commuting – for work, school, shopping, and many other daily activities. Many families find they need two or more cars to enable everyone to get where they need to go, adding even more costs to already stretched family budgets in a region where housing costs are very high. An alternate model – transit-oriented development – means more compact forms of development, focused around major transit routes and centres. These more compact forms typically include duplexes, fourplexes, townhouses, and apartments. Or sometimes just smaller houses on smaller lots. This kind of development means a more efficient use of the limited amount of land available, as well as reduced servicing and highway costs for both municipal and provincial governments. Such significant cost savings help to create more affordable housing options for those who want them, and can also keep municipal and provincial taxes down. When good transit becomes part of the mix, more people also have the option of using transit for their daily transportation needs. For many families, this can reduce the need to run that second, or even first, car. And for every car a family doesn’t need to buy, they not only save thousands of dollars a year for themselves, but there is one less car on our busy highways and streets, freeing up space for people who still need to drive and reducing the need for expensive new highway and bridge projects. A further benefit of this approach is the creation of more walkable neighbourhoods. Where development is concentrated around transit lines and centres, more of the services people use every day – food stores, schools, libraries, banks, coffee shops, and so on – tend to be within walking distance. Such neighbourhoods not only provide convenience and reduced housing costs, but they can also have significant health benefits – both from a reduction in vehicle emissions and from the increased exercise that people get as part of their normal everyday activities. Many studies suggest that walkable neighbourhoods provide a higher overall quality of life for their residents, and the popularity of such neighbourhoods has become a significant factor in real estate markets across North America. The single-family home, whether in our cities or in suburbs, is not going away. Many people will continue to choose it for a number of good and valid reasons, including space, privacy, and so on. These perceived benefits will come with a price – the higher initial cost, the need for multiple cars, longer commuting times – but many families will make that choice. But transit-oriented development – and the transit that will serve it – will be a welcome option for many others. This kind of development can be an important part of our long-term response to high housing costs, a growing population, issues of air pollution and road congestion, and the need for healthier, more walkable communities. Bob Adair is a retired architect and urban planner. Originally from the East Coast, he has lived in Vancouver since 1979. After a number of years working as an architect, he became a development planner with the City of Vancouver, where he worked for 20 years until his retirement in 2012.